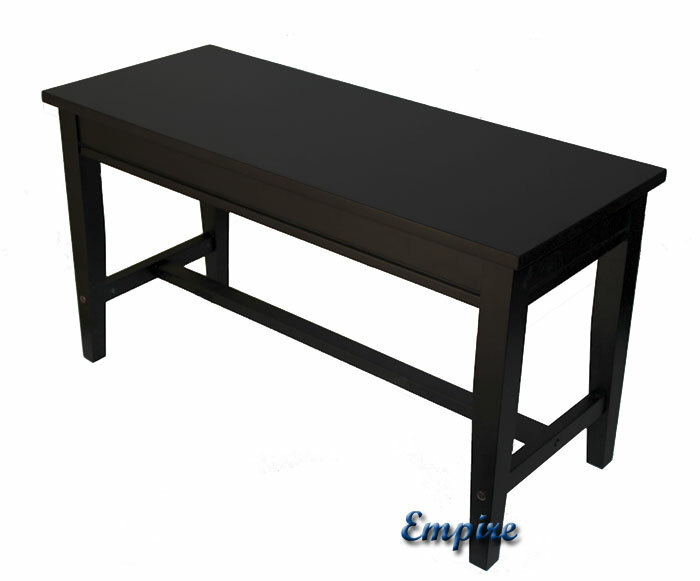 Our Empire Duet Wood Top Piano Bench is an especially heavy duty piano bench, featuring a reinforcement cross-bar and 100% hardwood construction. The cross-bar prolongs the life of the bench, as it secures the legs in place. When playing, a person rocks back and forth, slowing loosening the legs and bringing them out of aligment. The cross-bar secures the legs in place and evenly disperses the weight, making the piano bench overall a much more study structure. 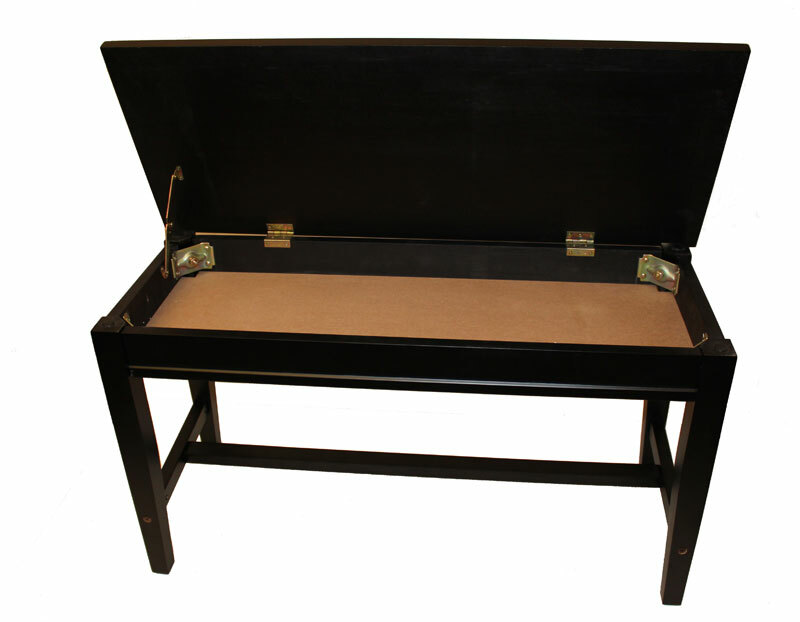 The bench is thus great for piano teachers, schools, churches, home use, or anywhere a heavier duty bench is needed. 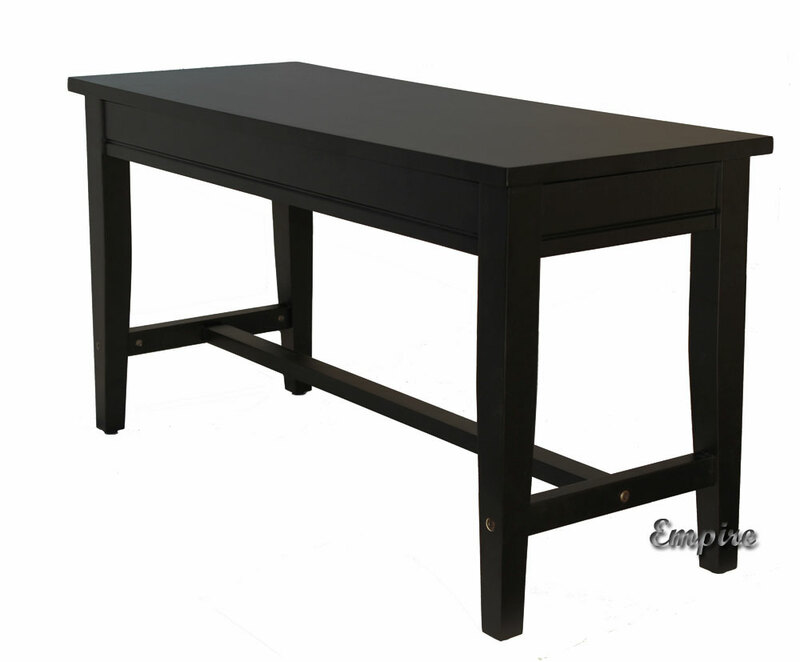 The Empire piano bench features straight tapered legs, which have rubber bumpers on the bottom to protect your floor from damage. The duet has a deep music compartment, measuring 2-3/8". In an additional testament to the duet piano bench's strength, the music compartment is routed in (meaning that it is inserted into a groove in the wooden frame), instead of stapled like you will find on most imported piano benches. This adds to the benches structural stability, and prolongs the life of the bench. Plus you can you safely store a good amount of sheet music in the compartment, without having to worry about the bottom falling out over time.